Imlee.com is new site where you can build your family tree in free and connect with your relatives.You can also invite your relatives and they can also add there images. First you have to make user id then you need to make your family tree after making family tree you can invite people from your tree.You can invite people using Facebook.You can also use Facebook to login.The name of this site is a Hindi word and English meaning of this word is Tamarind.You can build so big tree and you will be able to add you relatives like mom,dad,brother,sister,uncle, aunt and many others.You can also add information about your relatives like E-Mail and Date of birth.Imlee.com is steel in beta version.This site is a Indian site. 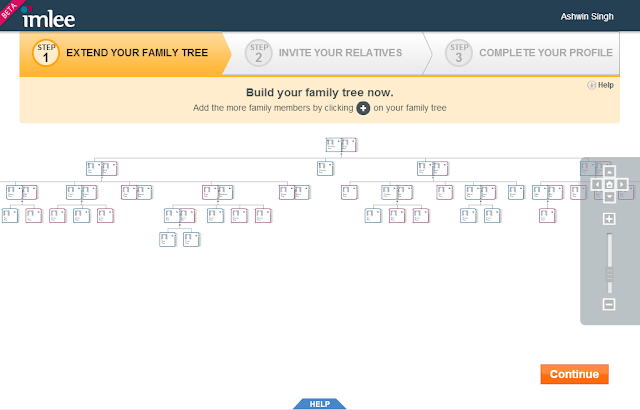 A preview of big family tree. You can zoom in to watch deeply. Imlee brings together the exciting concept of family trees and social networking to help you bond better with your family. 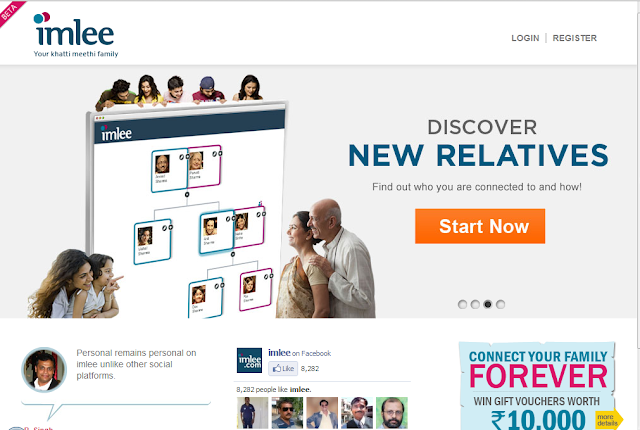 Your family tree at imlee helps you discover & connect with people in your family network. With safe sharing for family memories and other exciting features, imlee is full of fun - just like your khatti meethi (sour and sweet)families. hey very well structured and great read. Anyway, nicely written and an informative post @Ashwin singh :) Keep up the good work.